While the Viking Arm Protection may appear fragile at first glance, do not be fooled! 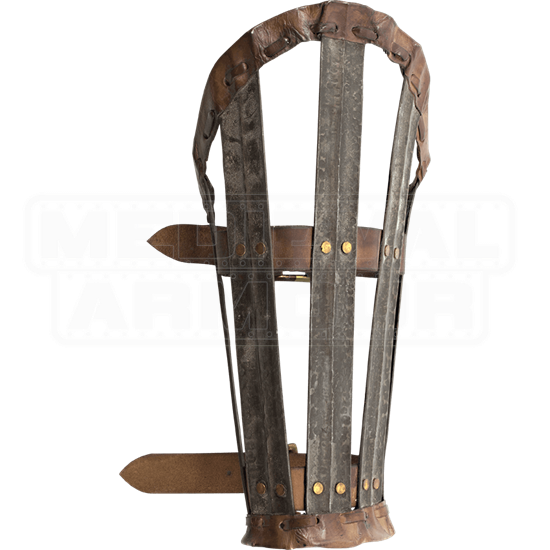 The ancient splint armour can be worn over leather or clothing with the vertical steel strips providing excellent protection to your forearms. The steel armour style does not hinder mobility as you fight. Three leather straps are used to keep each of the steel arm guards in place. 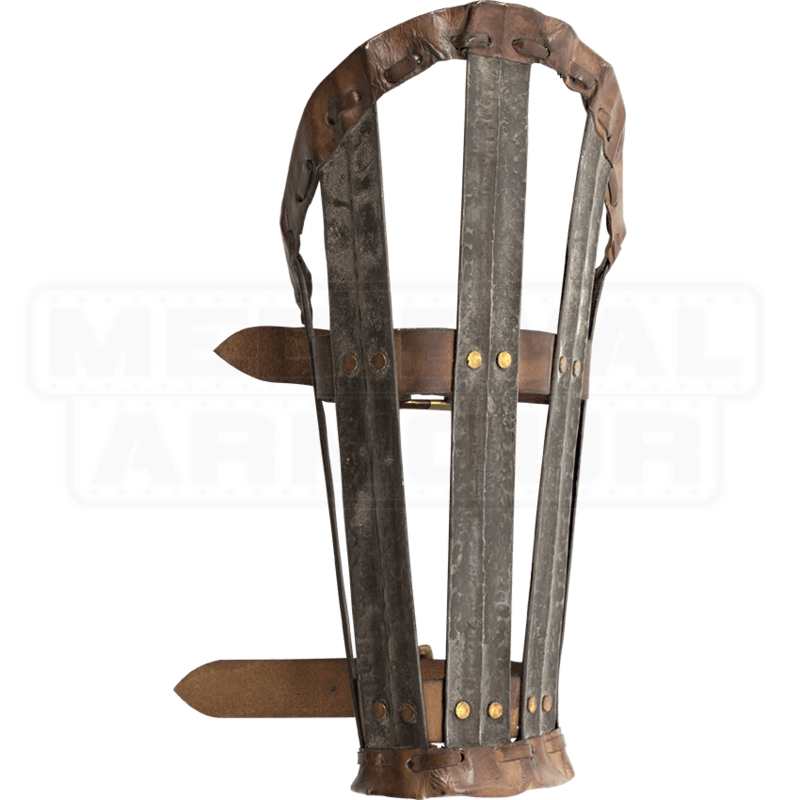 Made from galvanized mild steel and top-grain leather, these Viking vambraces work great for LARPing and historical re-enactments. The metal pieces have been given a dark metal finish that protects against rust and will not scratch upon contact with another metal.